Asia Week New York achieved $130 million in total sales. Asia Week New York – the ten-day Asian art extravaganza – which concluded on March 19, 2016 achieved $130 million in total sales. From the minute the 45 international galleries of Asia Week New York opened their doors on March 10, a whirlwind of activities swept the city. 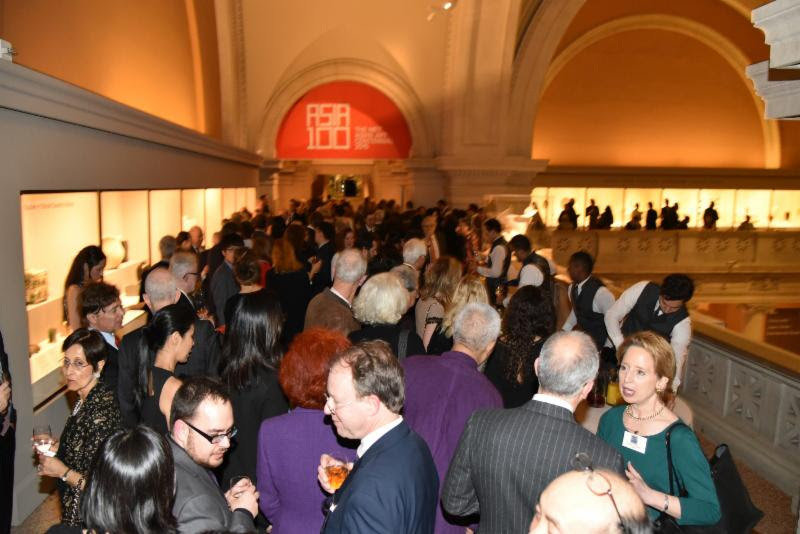 The annual event was celebrated with a magnificent reception co-hosted with the Asian Department of the Metropolitan Museum of Art on March 14 when Thomas P. Campbell, the director of The Metropolitan Museum, welcomed more than 650 collectors, curators and Asian art specialists. The event ignited excitement that burned for the entire week, and the Asian art world buzzed with exhibitions and auctions that were thronged with international buyers from Mainland China, Taiwan, India, Japan, Korea, Europe and the United States. “Despite concerns of the Chinese economy affecting Asia Week New York, the galleries saw steady traffic throughout the week, and the four major auction houses including Bonhams, Christie’s, Doyle, and Sotheby’s saw sales that were robust,” said Lark Mason, chairman of Asia Week New York. Mason reported that museum curators from all corners of the country and the globe flooded Asia Week New York, including the Asian Art Museum in San Francisco, the Art Institute of Chicago, the Saint Louis Art Museum, and so on so forth.